There are “summer camps” – and then there is camping in the summer, while backpacking across the Sierra over the course of a week to the summit of Mt. Whitney (14,505 feet), the tallest mountain in the contiguous US. Join us for an inspirational presentation by Clovis educator and TSX co-founder Mike Murphy. 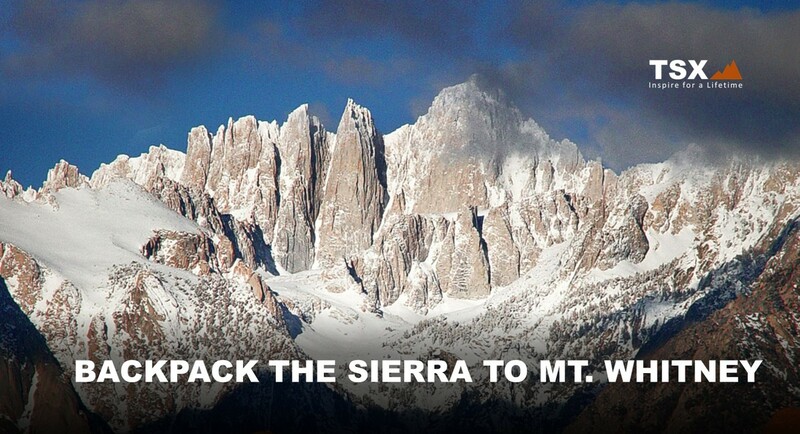 For over 30 years Mike has been leading local students and community members on week-long treks across Sequoia and Kings Canyon National Parks to the summit of Mt. Whitney. Learn the nuts and bolts of planning a multi-day backcountry trek, including gear, permits, weather and safety considerations, Leave No Trace principles, and protecting your food from bears. Find out how this experience has changed lives for 100s of kids across the Central Valley, and how you and your kids too, can backpack to the summit of our nation’s highest peak.